Our greatest living epic poet, (…) Mackey’s poetry and criticism (…) have reinvented modernism for our time. 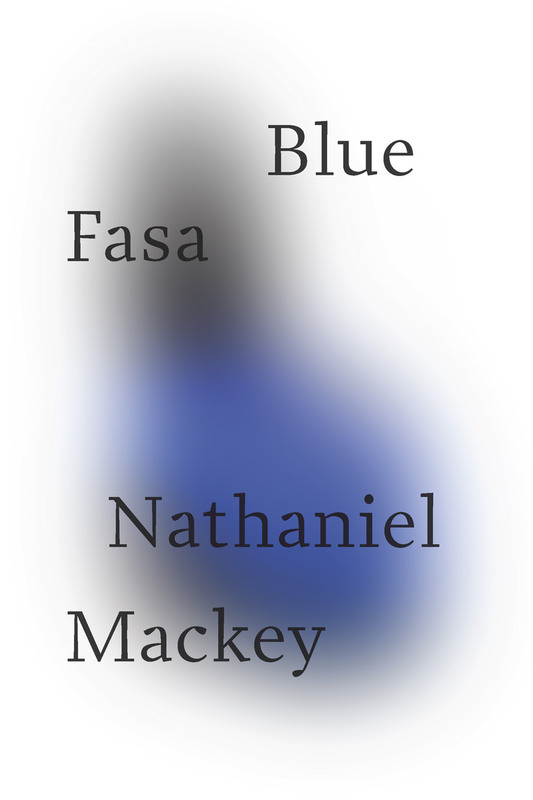 Nathaniel Mackey’s sixth collection of poems, Blue Fasa, continues what the New Yorker has described as the “mythological conception” and “descriptive daring&rrdquo; of his two intertwined serial poems—where, however, “no prior knowledge is required” for readers new to this poet’s visionary work. This collection takes its title from two related black musical traditions, a West African griot epic as told by the Fasa, a clan in ancient Ghana, and trumpeter Kenny Dorham’s hard bop classic “Blue Bossa,” influenced by the emergence of Brazilian bossa nova. In two sections Blue Fasa opens with the catch of the heart and the call of romance, as it follows a band of travelers, refugees from history, on their incessant migrations through time, place, and polity, toward renewal. Blue Fasa asks what the lyric can give us, and answers in an immense and generous manner. In Mackey’s music, we viscerally feel the physicality of language as well as the history and feeling encoded in it. It would be a loss for contemporary poetry to forget that sensuous shuttle of syllables from tongue to sound wave. The book is a collection of many poems that can also be treated as one epic poem. It follows several characters, who are on a journey of self-discovery, known as the philosophical posse. Remarkable erudition and singular lyric virtuosity. Nathan Mackey’s ongoing serial projects in poetry and prose over the past three and a half decades arrow among the great wonders of our literary moment. Mackey’s words go where music goes: a brilliant and major accomplishment. Nathaniel Mackey is a poet of ongoingness involved in a kind of spiritualist or cosmic pursuit. Nathaniel Mackey’s poetry ambitiously continues an American bardic line that unfolds from Leaves of Grass to Pound’s Cantos to H.D.’s Trilogy, winds through the whole of Robert Duncan’s work, and extends beyond all of these. Mackey’s own rare combinations create an astonishing and resounding effect: his words go where music goes: a brilliant and major accomplishment.